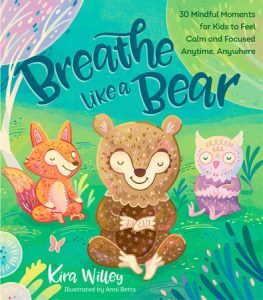 Yoga Story Time programs are a really great way to incorporate movement and mindfulness into your classic early literacy story time offerings. 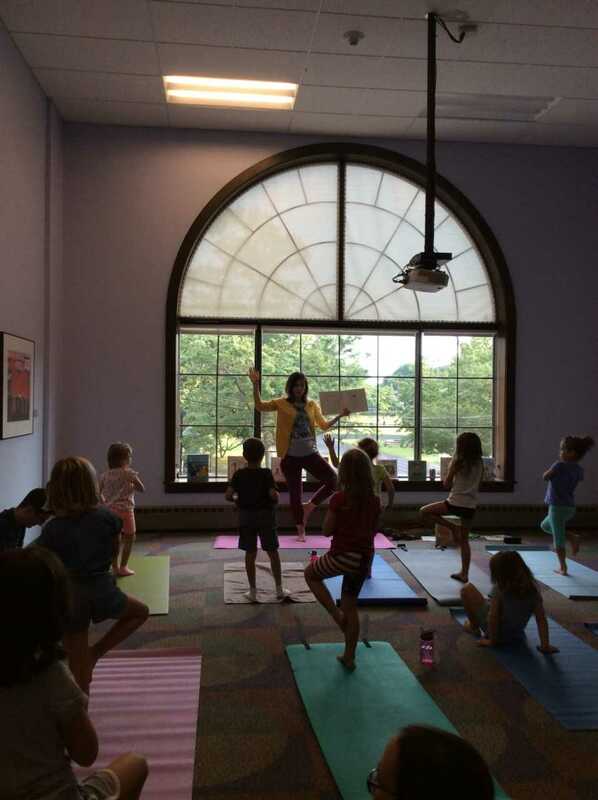 I was inspired to start offering Yoga Story Time programming after reading a post right here on the ALSC blog! As a regularly practicing yogi myself, this seemed like the perfect way to combine my love for yoga and reading into something really special I could offer at my library. 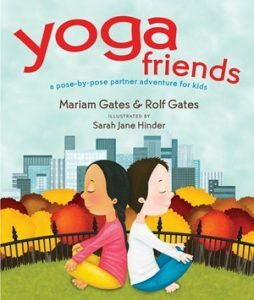 Typically I structure a Yoga Story Time around two short yoga focused picture books (fiction and nonfiction titles), with pictures of poses so kids can easily replicate the pose as they wish from the book. I also demonstrate many of the poses myself. Incorporating animal sounds is a must! Below are some of my favorite recently published yoga titles perfect for little yogis and ideal for usage in planning and leading a Yoga Story Time program . Image from Hachette Book Group. I’m not a certified yoga instructor, but armed with a good understanding of many common asanas (poses) and a willingness to learn along with my young participants I’ve been able to craft a successful, popular Yoga Story Time that is offered at various times throughout the year. This has become a program that I love leading and has inspired me to consider pursuing yoga teacher certification sometime in the future! If you are a yogi librarian yourself, I would encourage you to look into offering this program at your library- it is a great way to connect with your community and encourage fitness and wellness through book sharing. Yoga Story Time @ RRPL. Photo by Heather Tuck-Macalla. Nicole Lee Martin is a Children’s Librarian at the Rocky River Public Library in Rocky River, OH. You can reach her at n.martin@rrpl.org. IV. Knowledge, Curation, and Management of Materials. What’s Early Lit for Kids Who Can’t See? Hi, do you provide the mats, or do you have them bring their own? Hi Sara! The library does own about 10 mats that were purchased by our Wellness Committee. I do ask parents to bring a towel or yoga mat for their child to use, but also have the library mats on hand for those who forget a towel or don’t own a mat. Love this! 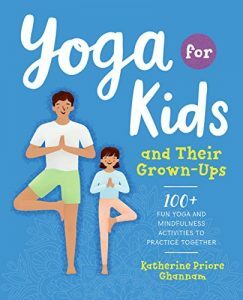 I am just starting out as a children’s librarian and I am a huge yogi, and I would like to pursue a yoga teaching certification specifically for being able to lead Yoga story time. Glad to see others are doing this! Do you know of other librarians who have teaching certifications in yoga? Hi Sara! I’m so glad you are thinking of combining your librarianship and yogi love as well! I don’t personally know other librarians who have yoga teaching certifications, but I am sure they are out there. Perhaps this is something you could ask on an ALSC email listserv? I’d be interested to meet and hear about their experiences myself! Hi Sara, I am also just starting out as a children’s assistant for early literacy. My age group is birth through 3 years old. I have been looking into Yoga training for teaching children. There is a training through Kidding Around that doesn’t require you to be pre-certified in Yoga. It is also pretty affordable and I believe they offer a discount. I am thinking about taking this course myself just to give me a better grip and understanding of how to teach yoga to toddlers. Thanks for this! 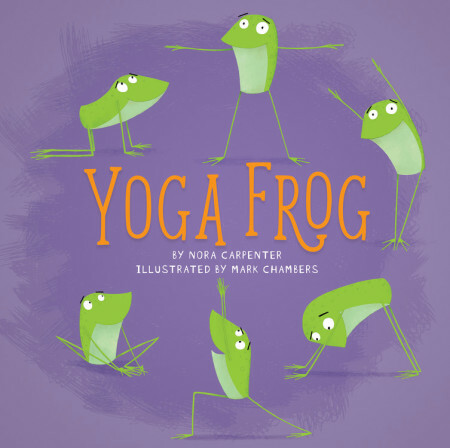 You’ve inspired me to do a simple yoga storytime this summer at our Stories in the Park program! (SUPER simple as I’m a total amateur ; ) And thank you for the nice booklist! I’m so happy to hear you were inspired to do a Yoga Story Time! I hope you love it! Having it outdoors will be perfect. There are a ton of other great books available, these were just some of my favorite new titles. 😉 Please feel free to email me if you have any questions or want more book suggestions!